The Premise from the Publisher: "Nicholas is a twelve-year-old with red hair whose dad just remarried. This makes Nicholas a literal redheaded stepchild. And tomorrow at lunch, the biggest boy in grade six plans to beat him up—he even made a Facebook event. Should Nicholas skip school, even if it means missing the chance to audition for the class play and impressing his English teacher Mr. Barton? His new stepmom, a chain-smoking, ex-Jehovah’s Witness golf pro named Mary-Anne doesn’t want him playing hooky. And Rufus Vermilion, Nicholas’s fabulous and charismatic alter ego, also has opinions about it. But when events in the schoolyard leave both Mary-Anne and Rufus speechless, it’s up to Nicholas to pick up the pieces and do some serious growing up" (PCP). My overall thoughts and review: When I read the premise of this play on the Playwrights Canada Press website, I was instantly intrigued. The idea of a 12-year old child who has to deal with being a stepchild, wanting to audition for a school play, and deal with a bully? I knew I wanted to read this immediately. Nicholas has an alter-ego named Rufus, who is incredibly opinionated. The play opens up with Rufus, and he was hilarious and charming. He explains Nicholas' situation about wanting to avoid school the next day because a group of bullies (Ashton Maly) made a Facebook event to beat up Nicholas like a 'redheaded stepchild.' Unfortunately for Nicholas, he really wants to go to school because he wants to audition for a play and impress his teacher Mr. Barton. His step-mom, Mary-Anne doesn't think he should skip and sends him off to school knowing full well about the Facebook event to happen. The three characters: Nicholas, Rufus, and Mary, are all played by the same performer and when I was reading it, I had a bit of a hard time envisioning it, so I really would love to see it performed. I loved how it was a smooth transition between characters and each character had a very distinct voice. 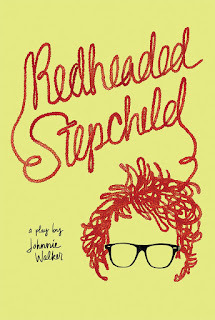 Even though it is a short play, I loved that Nicholas came to embrace himself for who he is, despite his red hair. In the audition, instead of reading Bottom's speech like he was planning to, he went for reading Helena's lines. I just love that he stuck to his guns and went to school. I also loved how Mary handled the situation when he got home and they bonded. It was a really sweet moment when he told Mary that she wasn't an evil-step mom. Overall, this was a really funny, charming, and sweet play. I especially appreciated the fact that the author wrote a foreword and introduction because it was interesting to learn about his inspirations behind the play. Walker refered to Rufus as Nicholas' Ziggy Stardust and I loved that. Regardless if you have red hair or not, I definitely think there's something to take away from the play and that is we have all felt different, or even bullied at some point. I completely empathized with Nicholas' story and also with Mary, who had to fill a new role. I really enjoyed this and I think readers of all ages will surely enjoy this one. Disclaimer: A copy of the play was sent by Playwrights Canada Press in exchange for an honest review. All opinions of the book are my own. Hi everyone! I haven't done an event recap in what feels like decades, but I attended a really special event yesterday and I feel like it definitely warrants a recap post. The lovely folks over at Simon and Schuster Canada invited me to the 2nd Annual Spring Fiction Lunch. I was lucky enough to attend the previous year, so when Adria emailed me again, I was over the moon excited. The event took place at Biff's Bistro and I've been there a few times now. I just love the aesthetic of the place and also the amazing service. Oh, and of course, the food is amazing. I got the Organic Greens, Beef Bourguignon, and the Classic Vanilla Bean Creme Brulee. All were simply divine. They brought in three lovely authors to talk about their upcoming books (yay for all female authors)! 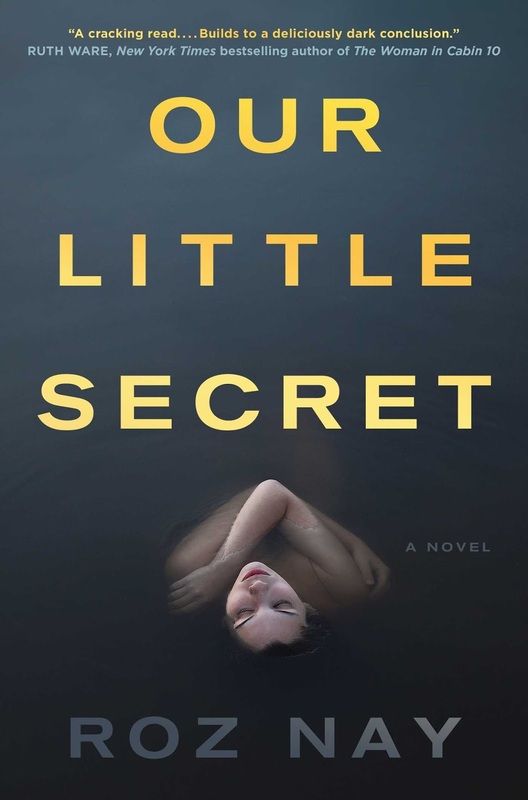 There was Lisa See, author of The Tea Girl of Hummingbird Lane; Roz Nay, author of Our Little Secret; and S.K. 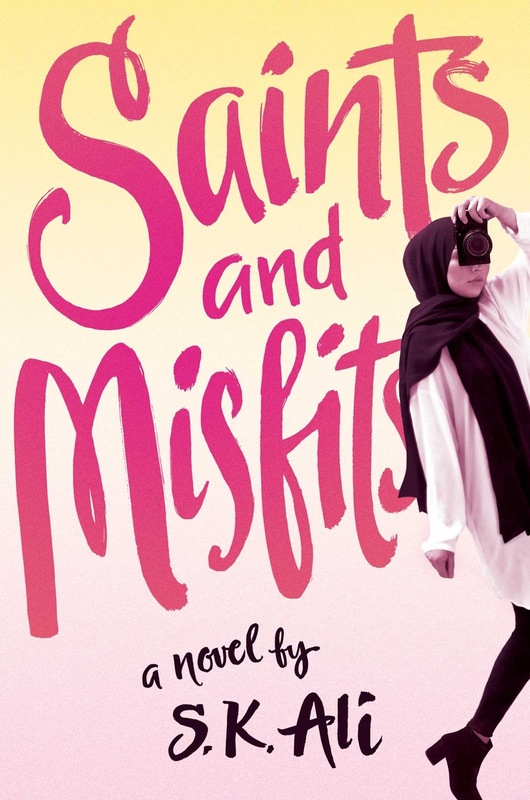 Ali, author of Saints and Misfits. They spoke a bit about their book and the synopsis and the writing process and also were incredibly humble when speaking about the book industry. We had musical chairs at lunch and I got to speak with all of them for quite a bit which was nice. Roz shared a nice tidbit that in the beginning, it was a different victim and a different crime :O and that changed in the editing process. I find learning about that just fascinating and it's amazing how much work goes into the editing process before release date. Going clockwise: Lisa See, Roz Nay, and S.K. Ali talking about their books. Premise: "Li-yan and her family align their lives around the seasons and the farming of tea. There is ritual and routine, and it has been ever thus for generations. Then one day a jeep appears at the village gate—the first automobile any of them have seen—and a stranger arrives. In this remote Yunnan village, the stranger finds the rare tea he has been seeking and a reticent Akha people. In her biggest seller, Snow Flower and the Secret Fan, See introduced the Yao people to her readers. Here she shares the customs of another Chinese ethnic minority, the Akha, whose world will soon change. Li-yan, one of the few educated girls on her mountain, translates for the stranger and is among the first to reject the rules that have shaped her existence. When she has a baby outside of wedlock, rather than stand by tradition, she wraps her daughter in a blanket, with a tea cake hidden in her swaddling, and abandons her in the nearest city. After mother and daughter have gone their separate ways, Li-yan slowly emerges from the security and insularity of her village to encounter modern life while Haley grows up a privileged and well-loved California girl. Despite Haley’s happy home life, she wonders about her origins; and Li-yan longs for her lost daughter. 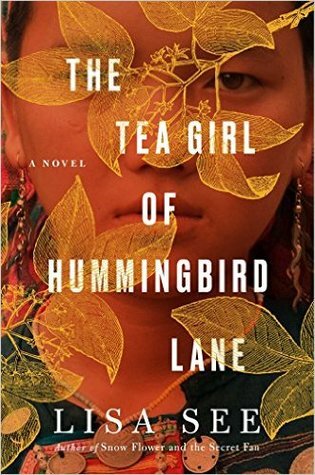 They both search for and find answers in the tea that has shaped their family’s destiny for generations" (Scribner). Premise: "The detective wants to know what happened to Saskia, as if I could just skip to the ending and all would be well. But stories begin at the beginning and some secrets have to be earned. Angela is being held in a police interrogation room. Her ex’s wife has gone missing and Detective Novak is sure Angela knows something, despite her claim that she’s not involved. At Novak’s prodding, Angela tells a story going back ten years, explaining how she met and fell in love with her high school friend HP. But as her past unfolds, she reveals a disconcerting love triangle and a dark, tangled web of betrayals. Is Angela a scorned ex-lover with criminal intent? Or a pawn in someone else’s revenge scheme? Who is she protecting? And why?" (SS). Premise: "There are three kinds of people in my world: 1. Saints, those special people moving the world forward. Sometimes you glaze over them. Or, at least, I do. They’re in your face so much, you can’t see them, like how you can’t see your nose. 2. Misfits, people who don’t belong. Like me—the way I don’t fit into Dad’s brand-new family or in the leftover one composed of Mom and my older brother, Mama’s-Boy-Muhammad. Also, there’s Jeremy and me. Misfits. Because although, alliteratively speaking, Janna and Jeremy sound good together, we don’t go together. Same planet, different worlds. But sometimes worlds collide and beautiful things happen, right? 3. Monsters. Well, monsters wearing saint masks, like in Flannery O’Connor’s stories. Like the monster at my mosque. People think he’s holy, untouchable, but nobody has seen under the mask. Except me" (Salaam Reads). Again, be on the lookout for my reviews. Spoilers: I loved what I've read so far. I'm seriously blown away by the releases Simon and Schuster have been pushing out. Top-notch stuff here. Thanks again to the lovely folks at Simon and Schuster for having me for a lovely Monday afternoon treat. I had a fantastic time chatting with fellow book lovers and the authors! Disclaimer: I was not asked to write a post about the event I was invited to. I had such a fantastic time and I decided to write an event recap to share my love for the books. All opinions are my own. 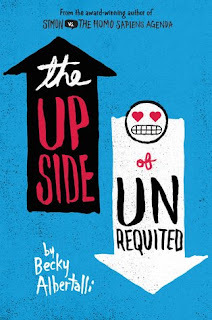 The Premise from the Publisher: "Seventeen-year-old Molly Peskin-Suso knows all about unrequited love. No matter how many times her twin sister, Cassie, tells her to woman up, Molly can’t stomach the idea of rejection. So she’s careful. Fat girls always have to be careful. Then a cute new girl enters Cassie’s orbit, and for the first time ever, Molly’s cynical twin is a lovesick mess. Meanwhile, Molly's totally not dying of loneliness—except for the part where she is. Luckily, Cassie's new girlfriend comes with a cute hipster-boy sidekick. If Molly can win him over, she'll get her first kiss and she'll get her twin back. There's only one problem: Molly's coworker, Reid. He's a chubby Tolkien superfan with a season pass to the Ren Faire, and there's absolutely no way Molly could fall for him. Right?" (HC). My overall thoughts and review: THIS BOOK.THIS BOOK!! Everyone, it is so hard for me to not simply write in giant caps locks and squee throughout this entire review. I loved this book so much. Ok, but first, confession time: I know everyone loves Albertalli because of Simon vs. The Homo Sapiens Agenda.. I own it and I know exactly where it is at my mother's house, but! I haven't read it yet... *hides* I will rectify the situation immediately. I knew that I wanted to pick this up because a few of my co-workers have been raving about it (thanks, Jen!) and to my luck, it was the book that arrived in this month's Owlcrate! Since reading it, I've already pushed it on a few friends and co-workers. I honestly was grinning the entire time reading this book. Ok, so my thoughts and onto the actual review. The story follows Molly Peskin-Suso who has had many crushes whereas her twin sister, Cassie, has kissed many girls and acted on those crushes. Molly and Cassie are quite close but when Cassie falls in love with Mina, Molly starts to feel like her sister is drifting away from her. I loved how their mom, Deenie's realtionship with her sister, Karen. also played a big role and juxtaposed nicely with Molly and Cassie. As an only child, it was hard for me to really get what Molly was feeling, but Albertalli is such a good writer that the way she conveys feelings, I honestly felt like Cassie was my sister at some moments. I loved the family dynamic with their two moms, Patty and Nadine, and their brother, Xav. Ì also really liked that some of their friends were practically family as well (Olivia and Abby). The text really emphasizes the importance of family and friendship. Ok, so the main thing I would say that the book does really well is focusing on body-image. Albertalli mentions that she had the help of many sensitivity readers which I`m really glad to see authors going the extra mile to ensure that they are conveying content in an authentic way. As someone who has always had an up and down relationship with their body and weight, Albertalli perfectly conveys what I have thought many times looking in the mirror. I`ve also had many moments where loved ones spoke to me like Molly`s grandma and those moments stung. To have loved ones be hard on you for your weight is definitely something that is hurtful and it is hard to see the intention at times. Albertalli really affirmed the importance of self-love for me after reading this book. I loved that Molly felt beautiful in a moment in the morning with unbrushed hair, pajama pants and toothpaste in the corner of her mouth (321). Don`t get me wrong, the romance is incredibly swoonworthy in this book and I would read a book about Middle-earth Reid entirely, but Molly is not defined by this romance which I really enjoyed. It was coming to terms with who she was, her strengths and her weaknesses. It came down to Molly feeling like "herself" and being happy with who she is. I can't say enough good things about this book. It just has the right amount of everything: friendship, family, romance, sisterhood, body-image and self-love. Like I've said to other people already: The book is simply SO. GOOD. So go run out to your local bookstore and grab a copy immediately (And then message me on twitter so we can squee about it). The Premise from the Publisher: "Sixteen-year-old Starr Carter moves between two worlds: the poor neighborhood where she lives and the fancy suburban prep school she attends. The uneasy balance between these worlds is shattered when Starr witnesses the fatal shooting of her childhood best friend Khalil at the hands of a police officer. Khalil was unarmed. Soon afterward, his death is a national headline. Some are calling him a thug, maybe even a drug dealer and a gangbanger. Protesters are taking to the streets in Khalil’s name. Some cops and the local drug lord try to intimidate Starr and her family. What everyone wants to know is: what really went down that night? And the only person alive who can answer that is Starr. But what Starr does—or does not—say could upend her community. It could also endanger her life" (HC). 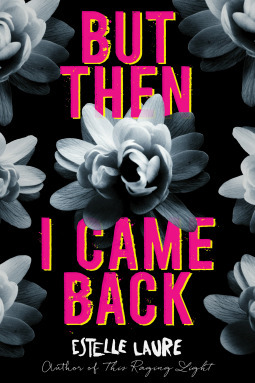 My overall thoughts and review: When I first read the premise of this book, I knew that I wanted to read it at some point. It sounded really interesting and was relate-able to what was going on in the media (still is). A few of my co-workers also raved about it, so I decided to check out the audiobook version. I want to take a moment in my review to applaud the amazing narrator, Bahni Turpin, who brought the story to life for me. She perfectly narrated each and every character and I can honestly say, it is my favorite audio book to date. The story is just all kinds of amazing. It is one of those stories that is completely gut-wrenching and heartbreaking, but also incredibly funny, charming, and down to earth. I loved the Carter family so much and learning about their history and seeing the dynamics in all their interactions. Some small things were with one another, how they ran their family business and just the way they went about their daily life... for example, every time Starr's father swore, he owed Starr's younger brother a dollar and hearing him shout out "Daddy! $1" were some of my favorite moments. The story deals with the heavy topic of witnessing a friend get gunned down by a police officer. The reader experiences Starr's trauma and pain as she is experiencing it. This isn't the first incident that Starr witnesses a friend dying. It is quite a traumatic experience for her and I have to commend her for getting up and going to school. She tries her best to prevent her two worlds from colliding so she hides the fact that she was the witness in the car with Khalil. The reader sees Starr's struggle between wanting to be pro-active and use her voice in Khalil's case, between doing certain things out of safety. I really loved how her boyfriend, Chris, and best friend, Maya, were great pillars of support for Starr, along with her family. Lots of diversity in the book because Maya was Asian and the book focused on how Chris and Starr were an interracial couple. I loved seeing how she interacted with her brother Seven as well. The book addresses important questions of using our voice as a weapon and not an actual weapon, how the media can often misconstrue narratives, and the harsh reality of police brutality. I really want to get into more details of my favorite parts but I don't want to spoil the book.Even though the subject matter is quite dark, Thomas finds a way to demonstrate the importance of family and friendship throughout the entire text. What makes the book is the characters. For example, even though we lose Khalil at the beginning of the text, Thomas finds a way to build his narrative throughout the book and it only hits home the fact that what happened to him was unfair. I just honestly think everyone should pick up this book. As much as it hurt to read certain passages, it also had me laughing out loud while listening to it on transit and smiling a lot too. Go pick up this book immediately. It is a MUST READ. Games - I've been playing a ton of games lately. 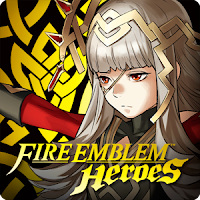 I recently finished Fire Emblem Fates (Conquest only so far) on my 3DS and that has gotten me really excited for the upcoming release of Fire Emblem Echoes! I've already pre-ordered the limited edition and I can't wait to play it next month! There is also Fire Emblem Heroes which is for your phone and I've been really enjoying playing that. It is nice to see characters I recognize from previous versions and they also had a really cute Easter/Spring Festival special. 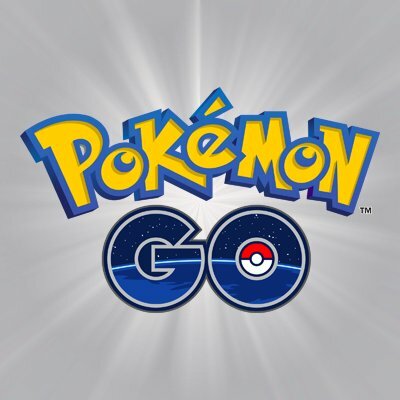 Also, I downloaded Pokemon Go again... I deleted it in November but with the nice weather and lots of walking down by my house, it doesn't hurt to have this again. Podcasts - It was right around this time last year that I really got into podcasts. With my long commutes to school and walking occasionally, a podcast definitely helps pass the time. Some of my old favorites include: Serial and Lore. I recently finished S-Town which I loved! It followed a man named John from Alabama who despised his town. He reaches out to the host, Brian Reed, to investigate a murder that allegedly happened but was covered up. What Brian soon discovers is an interesting story about John. All 7 chapters are available now and I definitely recommend checking it out if you were a fan of Serial. It's a strange story about a peculiar individual and gives you a lot to think about life/death, climate change, and depression. 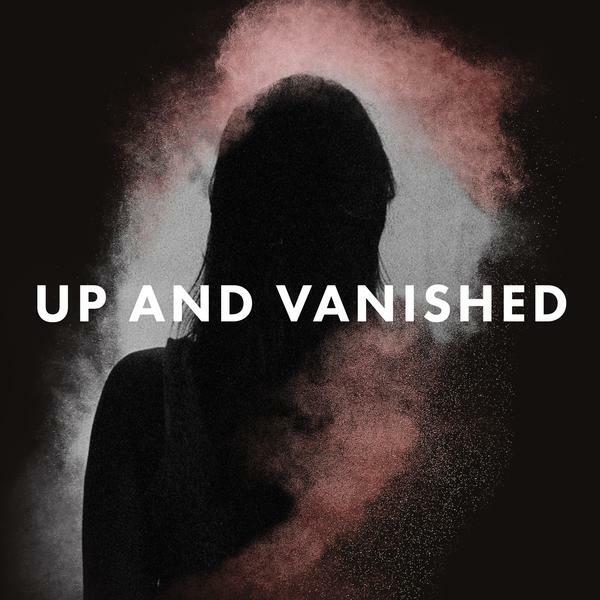 // My boyfriend and I also decided to pick a podcast to listen together when we are in the car, and we landed on Up and Vanished, which was recommended to him by a friend. It is told by Payne Lindsey, an amateur investigator and documentary maker. He admits in the first episode that he is not a regular podcaster, so those who have been spoiled by mixing from This American Life & Serial, may not find it perfect to begin with. But so far, the case about the missing teacher & beauty queen, Tara Grinstead, is really interesting. We are about two episodes in and can't wait to listen to more! 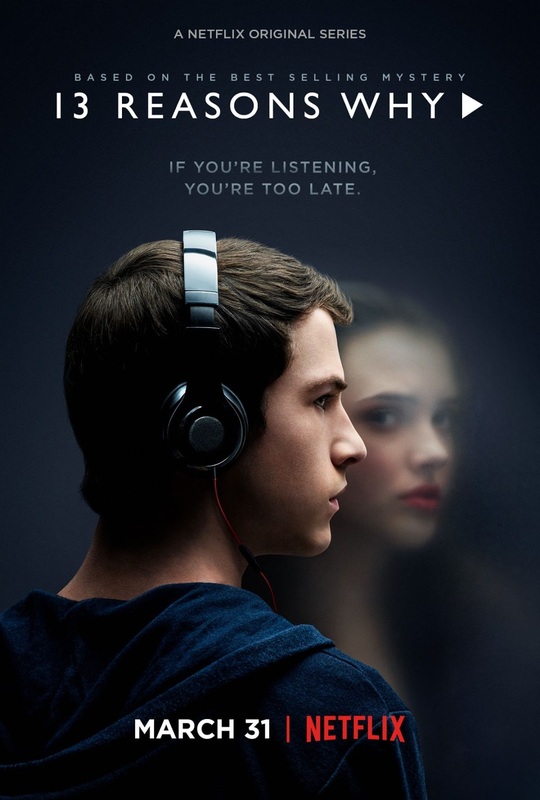 Television - So if you haven't heard (so you must live under a rock)... Jay Asher's famous novel Thirteen Reasons Why has been adapted into a Netflix Series. I read the book many years ago and I'm rereading the anniversary edition now (I plan on writing a review post for both the book and tv series - be on the look out for that!). The trailer looked promising and I decided to give the series a go. I'm usually pleased with adaptations but not blown away by them. This is another case entirely. I want to save the full details for my main review, but it was so well-done. It is definitely triggering and I cried non-stop from episodes 6-13, so brace yourself. It is such a powerful show! // My boyfriend and I finally found an anime that he enjoyed. I'm the big anime fan and it isn't often that we find one that he likes. We landed on One-Punch Man which is funny and a lot of fun! 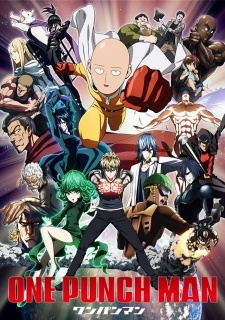 It follows the very anti-hero, Saitama and his adventures with his friend, Genos. We finished the series and I'm slowly picking up the manga. I really hope it gets a second season because it was so good! 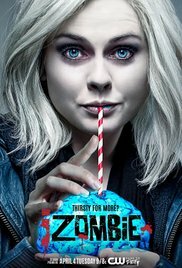 // one of my favorite CW tv shows also returned recently: iZombie! Definitely one of my favorite shows and it is so good to see them all back together and solving cases. Music - I usually listen to music only when I'm sitting at my desk working on blog posts or marking. I have spotify premium and sometimes one of the curated playlists is just good enough for me (some favorites include: Evening Chill & Indie Pop Chillout). 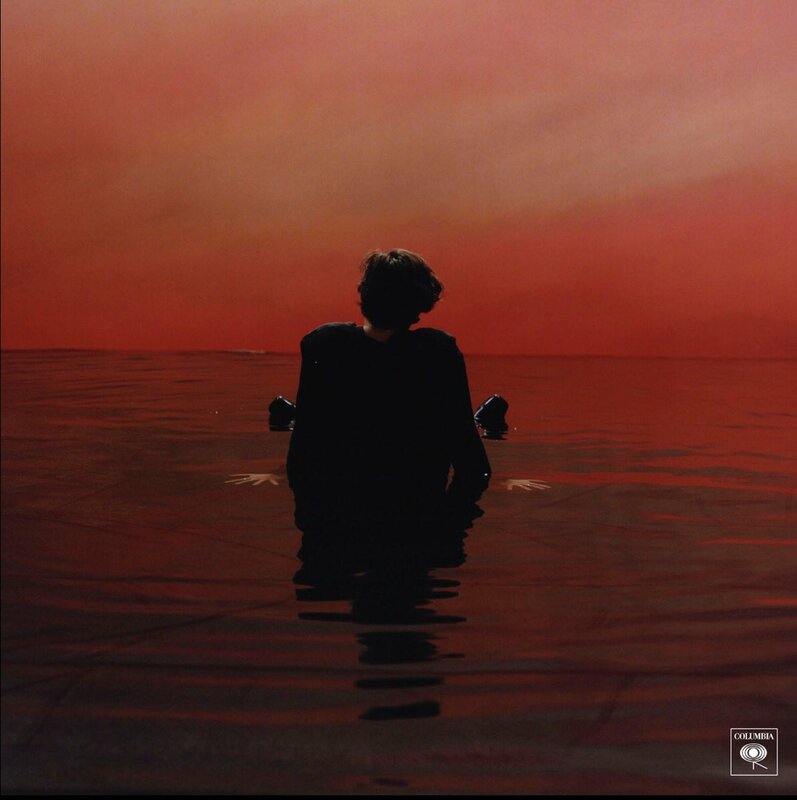 But... there are some songs that I've been in love with lately: Green Light by Lorde - such a fun song and I find myself wanting to dance about whenever I hear it & Sign of The Times by Harry Styles - how could I not mention this? 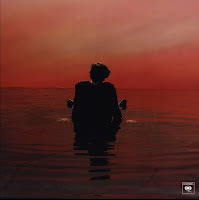 His first debut single and it is a slow pop-rock single. His voice is magnificent! 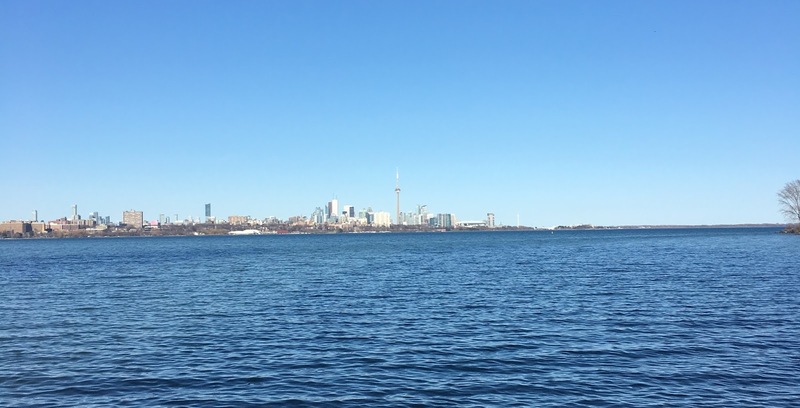 Other - Warm weather means lots of walks and hikes with Jeremy. 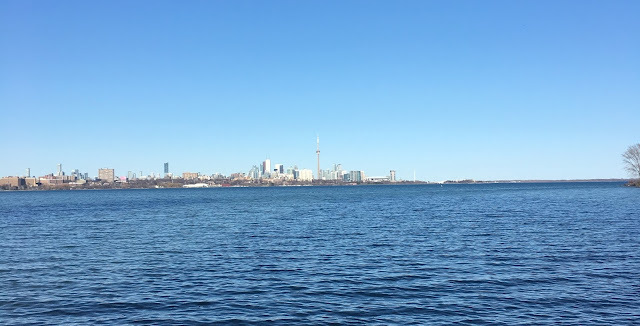 We live pretty close to the water so it's been so nice to go down for a walk. I leave to Tokyo, Japan in about three weeks and while I'm there, I have a lot of hikes planned so must prep for that. Other than that, I've been enjoying the warm weather a lot and I'm hoping it gets warmer so I can set up the balcony nicely. The couch we have for our patio is my go-to-summer reading spot so I can't wait for that to be up and ready! 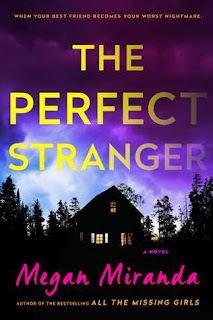 The Premise from the Publisher: "Confronted by a restraining order and the threat of a lawsuit, failed journalist Leah Stevens needs to get out of Boston when she runs into an old friend, Emmy Grey, who has just left a troubled relationship. Emmy proposes they move to rural Pennsylvania, where Leah can get a teaching position and both women can start again. But their new start is threatened when a woman with an eerie resemblance to Leah is assaulted by the lake, and Emmy disappears days later. Determined to find Emmy, Leah cooperates with Kyle Donovan, a handsome young police officer on the case. As they investigate her friend’s life for clues, Leah begins to wonder: did she ever really know Emmy at all? With no friends, family, or a digital footprint, the police begin to suspect that there is no Emmy Grey. Soon Leah’s credibility is at stake, and she is forced to revisit her past: the article that ruined her career. To save herself, Leah must uncover the truth about Emmy Grey—and along the way, confront her old demons, find out who she can really trust, and clear her own name. Everyone in this rural Pennsylvanian town has something to hide—including Leah herself. How do you uncover the truth when you are busy hiding your own?" (SS). 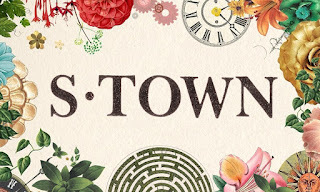 My overall thoughts and review: Megan Miranda is also the author of All The Missing Girls, which I haven't read yet but I definitely plan to at some point. I knew a lot of my fellow co-workers were excited for this new book by her and so here we are! I decided to check it out. The premise sounded interesting enough and I really found the tag line "When your best friend becomes your worst nightmare" quite intriguing. You are immediately thrown into Leah's world in Pennsylvania where she just learns of a woman being attacked close by, and someone who kept calling her was picked up as a possible suspect. 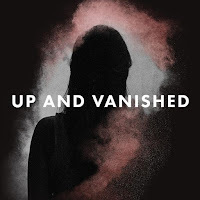 Leah escaped her previous life in Boston and you don't learn right away what exactly happened, but she escapes with an old friend and previous roommate, Emmy. The reader learns of Emmy from Leah's memories of her and it becomes clear that Emmy is quite a mystery. Leah only knows minor facts but not actual things you would need to tell a police officer when filing a missing persons report. With not seeing Emmy for a few days, it seems normal at first to Leah because of their divergent schedules. However, she quickly becomes worried for her roommate and does some investigation. What the reader untangles is two mysteries: what happened to Emmy and who was responsible for the woman that was assaulted. They seem to be separate cases, but soon they begin to come together. It was quite a good mystery and had me guessing at some main points. 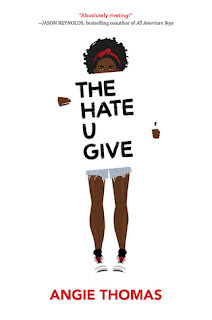 My biggest gripe with the book though and why it doesn't earn a full four stars from me is that I found the characters, even Leah, so unlikable. I've read books before where none of the characters were likable, but this was a different case entirely. I began to simply not care about Emmy or Leah, and the mystery of Emmy wasn't really something I was highly invested in. Towards the end, I found it quite predictable as well and the climax was.. well anti-climatic in my opinion. It didn't surprise me when it was done and I was anticipating an even bigger twist at the very end. There were moments of suspense but I found that was more in Leah's past and what happened that led to her leaving Boston. Where Leah's memories of Emmy would've built a stronger sense of betrayal for the reader, it simply left me not caring about her. I did like the character of Kyle quite a lot and I found Miranda's writing of some of the students down right creepy; so kuddos for that! Overall, it is a decent psychological suspense read. I think fans of The Widow by Fiona Barton and The Woman in Cabin 10 by Ruth Ware will definitely enjoy this. Disclaimer: An advanced reader's copy of the book was provided by Simon and Schuster Canada in exchange for an honest review. All opinions of the book are my own. 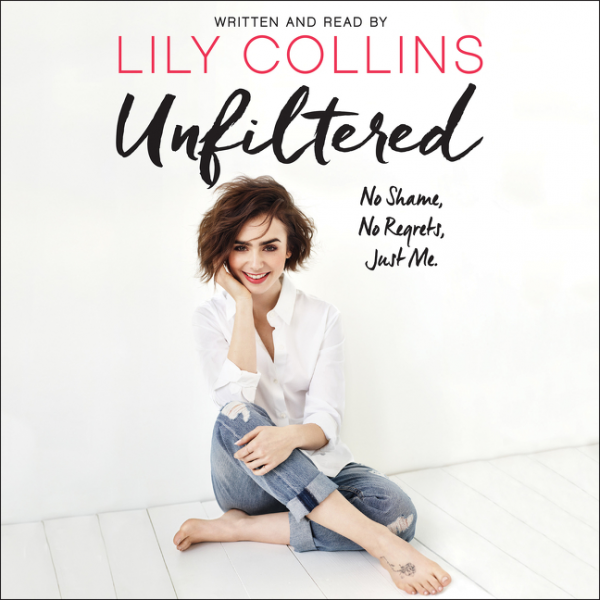 The Premise from the Publisher: "In this groundbreaking debut essay collection, featuring never-before-seen photos, actress Lily Collins, is opening a poignant, honest conversation about the things young women struggle with: body image, self-confidence, relationships, family, dating, and so much more. For the first time ever, Lily shares her life and her own deepest secrets, underlining that every single one of us experiences pain and heartbreak. We all understand what it’s like to live in the light and in the dark. For Lily, it’s about making it through to the other side, where you love what you see in the mirror and where you embrace yourself just as you are. She's learned that all it takes is one person standing up and saying something for everyone else to realize they’re not alone. 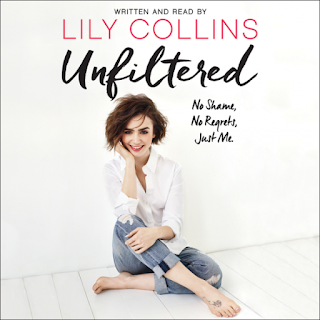 By turns hilarious and heartbreaking, Lily’s honest voice will inspire you to be who you are and say what you feel. It’s time to claim your voice! It’s time to live your life unfiltered" (HC). My overall thoughts and review: I've been a fan of Lily Collins for quite some time now. I was over the moon when I found out she was cast as Clary Fray for The Mortal Instruments movie. I even got to meet her when they were filming in Toronto. She is such an incredibly sweet individual and I got to see just how hard she worked. She would take time in between takes to say hi to her fans which was so nice. I was also devastated when the series moved to Netflix and they recast Clary. I thought Lily was absolutely perfect for the role, but since then, it's been nice to see her soar in other acting pursuits and also as the face of Lancome. I don't know much about Lily's personal life so when I heard that she was writing a book, I was definitely intrigued. I decided to go for the audiobook version because I always feel reading memoirs in audiobook versions is a lot better? You get to hear the author's voice which is a nice touch and it feels like they are directly telling you the story on a whole other level? The book is a series of essays and letters where Lily talks about her experience in love relationships, family, her eating disorder, and coming to terms with accepting herself. I really found that the chapters about love relationships struck a chord with me. Lily mentions at one point that she always felt that a bad relationship was meant to teach her a lesson or prepare her for what's to come next, but she's broken free of that mold to let a relationship define her. This really got to me, because as a teenager, I truly believed that. 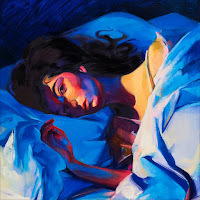 Her thoughts on her relationships and especially when she speaks quite openly about her experiences in an abusive relationship, really made me reevaluate all my previous relationships in a new light. I also personally have always had a bit of a struggle and a strange relationship with food, so I definitely empathized with the sections where Lily spoke about her eating disorder. I found that she got it so right and I even felt like she was explaining my previous situations at times. I really liked how open Lily was and one thing that I really appreciated was that, not only did Lily speak about the difficult moments in her life, she also spoke about really good moments, like learning to cook and embrace the kitchen. Overall, I really loved this read. Lily speaks so honestly about everything and it is so clear why she is such a role model to many people. She doesn't skirt around the messy stuff, nor does she apologize for things. She encourages the reader to embrace yourself (in all capacities) and to truly love yourself. Even if you aren't a fan or even familiar with Lily Collins, this is definitely a book worth reading. The Premise from the Publisher: "Eden: As far as coma patients go, Eden's lucky. She woke up. But still, she can't shake the feeling that she might have dragged something back from the near-afterlife. Joe: Joe visits the hospital every day, hoping that Jaz, his lifelong friend, will wake up. More than anything, he wants to hear her voice again. But he's not sure anyone can reach her. Eden & Joe: Even though she knows it sounds crazy, Eden tells Joe that they might be able to talk to Jaz. Opening themselves up to the great unknown-and each other-Eden and Joe experience life: mysterious and scary, beautiful and bright" (HMH). 1. Which part of the text was most difficult for you to write? Is “all of it” an acceptable answer? I think it’s really true what they say about the second book. You know how the rabbits in Watership Down go tharn in the face of danger? That was me for quite a while, and ironically it was because I was trying to skirt the subject matter. Writing about life and death and choices on that level was both exhilarating and daunting and I think putting forth some sort of an afterlife hypothesis was the most challenging. Also, because the coma patients I spoke to talked about their confusion in the first days waking up, that was tough from first person. I didn’t want to exhaust my audience with a fractured reality. But really, all of it. 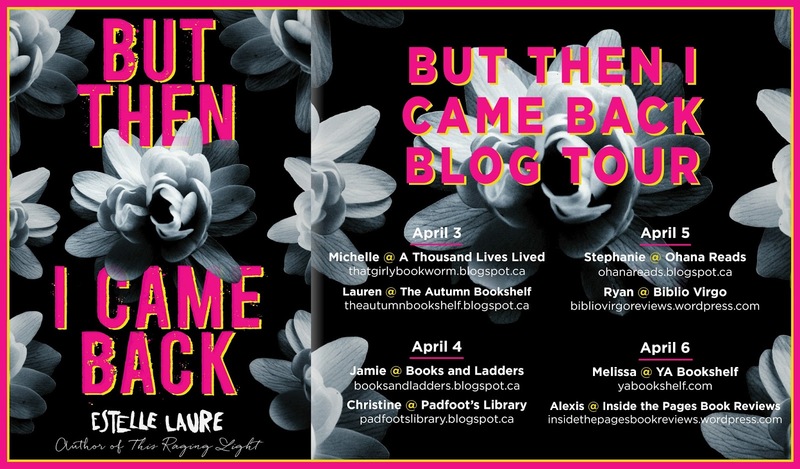 Be sure to stop by the other stops on the blog tour and show my fellow blogger friends some love! Disclaimer: An advanced reader's copy of the book was provided by Raincoast Books for participation in the book tour. All opinions of the book are my own.